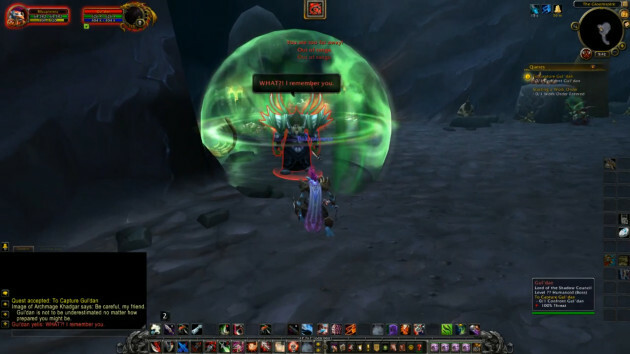 Image of Archmage Khadgar: Gul’dan is in the cave further into the Gloomspire. We know that he’s about to leave for Talador and Shadowmoon Valley. You must capture him by any means necessary, (name). I’ll see you back at Throm’var. Good luck. 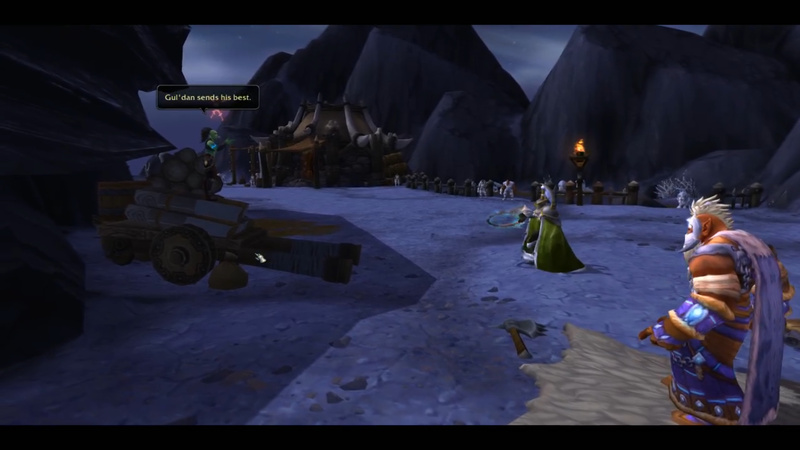 Image of Archmage Khadgar: Be careful, my friend. Gul’dan is not to be underestimated no matter how prepared you might be. Gul’dan: WHAT?! I remember you. I’m not that easy. I won’t lower myself to fight you, but, I have an idea. Griselda, my beauty, your time has come. 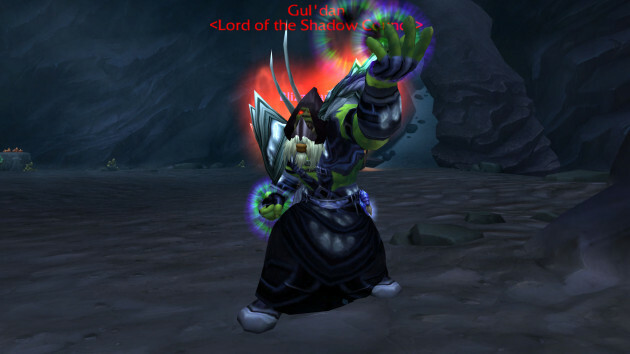 Gul’dan: Have fun dealing with this. Griselda the Beautiful: I’m more beautiful than ever. Gul’dan: No matter. Soon there will be enough felblood to make thousands for the Burning Legion. Do give my regards to Khadgar. I’ve a present coming for him. Image of Archmage Khadgar: Unfortunate, but now we know more. You can take the portal back to Throm’var. 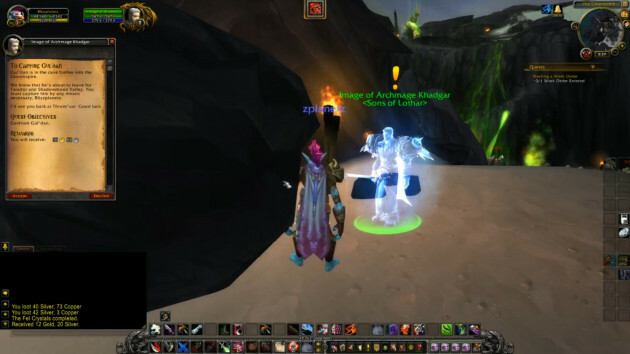 Image of Archmage Khadgar: Unfortunate, but not surprising. At least we were able to defeat one of the inner council members. All is not lost, (name). We know what the Shadow Council is up to and where they’re heading. 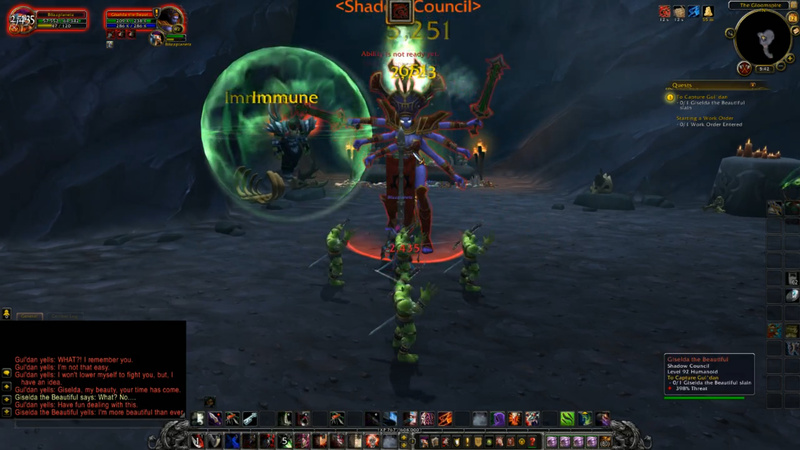 We’ll regroup in Talador. Together, we’ll put an end to Teron’gor and his plans for Auchindoun. Image of Archmage Khadgar: Kalandrios, I would like to witness the Ritual of Binding again. Cordana Felsong: Khadgar – someone’s here! Garona: Gul’dan sends his best. Cordana Felsong: I knew it. You should’ve stayed back at the garrison. Archmage. Image of Archmage Khadgar: Nonsense. I had that handled. cool as a cucumber. Don’t let it get you down, commander. We’ll catch him.